Kushner and Trump, both senior advisors to President Trump, are in Israel as part of the American delegation celebrating the moving of the U.S. Embassy from Tel Aviv to Jerusalem. 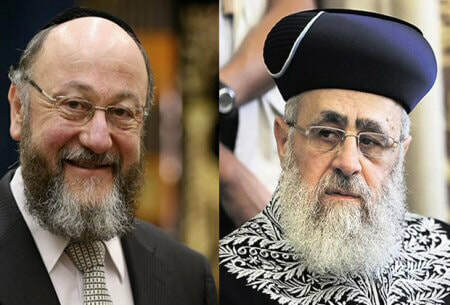 Jewish Insider reported that in addition to having dinner with Prime Minister Benjamin Netanyahu and attending a ceremony at the Ministry of Foreign Affairs, they also received a blessing from Yosef, one of the country’s two chief rabbis. During a sermon in March on how to properly say a blessing, Yosef used the Hebrew word “kushi,” which was used in the Bible but is now considered a derogatory term for black people. The ADL said in a tweet at the time that the remarks were “utterly unacceptable.” Yosef’s office responded that he was merely citing the Talmud, which also has similar language about other animals like elephants. Yosef had also attracted criticism for other comments in the past few years, such as implying in 2017 that secular women behave like animals because of their immodest dress and claiming in 2016 that according to Jewish law, non-Jews are forbidden from living in Israel. “In conquering the Land [of Israel] according to Nachmanides and Rashi [*], who say that the wars of today are also mitzvah wars for conquering the Land, I am beholden to nothing. This isn’t the law of the persecutor [**], right? What law are we dealing with? The laws of a mitzvah war, a war of occupying the Land. Even if I don’t conquer Gaza right now, [conquering it] is part of my ability to settle the Land of Israel, so it is also a part of the mitzvah of conquering the Land. Mechina leaders often meet with senior officers, up to the Chief of Staff, and participate in high-level discussions about the level of religiosity of the army, particularly whether women may serve with men. The fact that the mechinas are producing a large number of motivated officers when most Israelis do not wish to become officers gives them unusual leverage with the high command – with the result that they are rarely, if ever, supervised. This began to change over the last year. The Bnei David mechina, the first of them, has long been considered the flagship of the National Religious movement, and its leader, Rabbi Elli Saddan, even won the Israel Prize – the country’s highest civil honor – for his contribution to education. 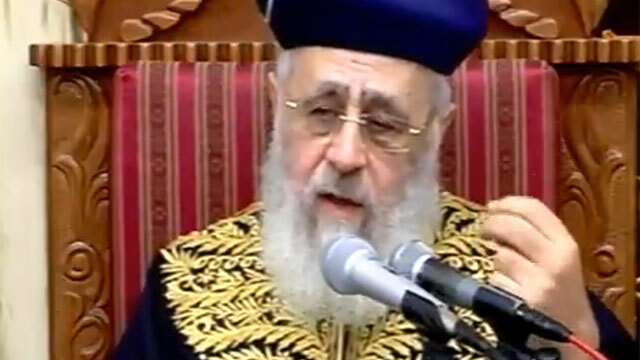 However, over the last year, several rabbis of the mechina – including Saddan himself – were caught on videos saying highly inflammatory things. 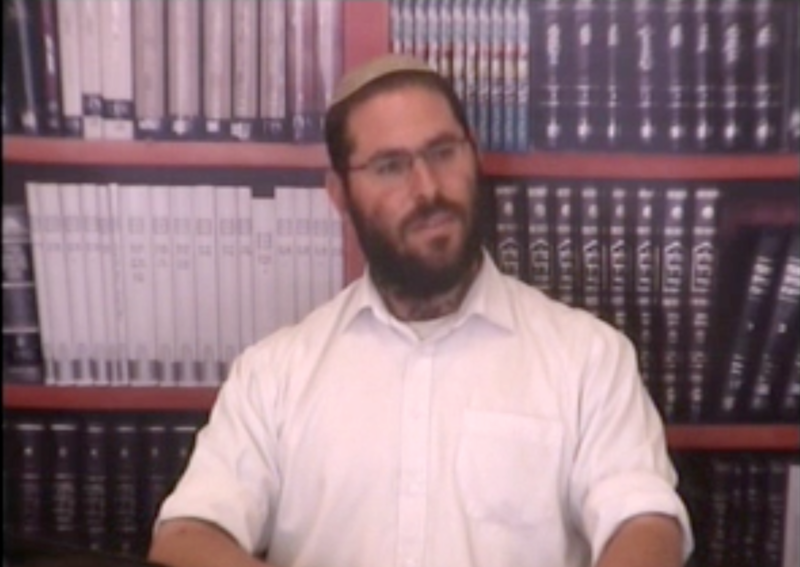 The main targets of the mechina rabbis have been gays and women; the utterances were so inflammatory, as the rabbis exposed their misogyny and homophobia, that the Minister of Defense demanded at one point that one of the worst offenders, Saddan’s deputy Yigal Lewinstein, resign or the mechina will be sanctioned (Hebrew). Soon after, Lewinstein went on “vacation”, but the mechina insisted he was not fired (Hebrew). As one scandal after another hit Bnei David, leftists have made it a habit to go over the mechina’s videoed lectures looking for bait. The Wallas quote is the latest prize. Most of the haul, however, dealt with misogyny and homophobia. This is one of the rare examples of what Bnei David rabbis think about Palestinians. Now we need a crash course in Jewish [not Israeli] warfare law. It basically distinguishes between two sorts of wars: reshut (permitted) wars and mitzvah (ordained) wars. Kings are permitted to go on reshut wars if they so please, but such wars are handled under relatively humane laws. Mitzvah laws are a different concept entirely: they are holy wars, the enemy is considered to be the enemy of God, and, as Wallas says, “I am beholden to nothing.” The model is the extermination wars of the biblical Joshua. Most Halacha scholars are divided about what constitutes a mitzvah war, but they agree that wars to reconquer the Holy Land fit the bill – after all, they are modeled on Joshua’s. There used to be a snag: Only a king could declare a mitzvah wars, and Judaism was not supposed to have a king until the messiah came. The National Religious movement made a leap of faith over this hurdle: it declared Israel to be “the beginning of the growth of our redemption” (a phrase recited every year in the Independence Day prayers), and treats the state as semi-holy, and one that may declare mitzvah wars. And, at the end of the chain, we have a government-sponsored rabbi teaching children ardent for some desperate glory that legally they are permitted to order their soldiers to destroy, kill and cause to perish women, old men, and children. Yes, there is still a caveat: If Israel is to suffer because of international treaties, it shouldn’t be done. But what if the time is right? Technically, Rabbi Wallas is somewhat under military supervision. As his teachings – while essentially correct, alas – go directly against military law, one might expect he’d be removed, demoted or reprimanded. But, while Lewinstein was reprimanded for denigrating women soldiers, Wallas has less to fear. No one in the military command cares about rabbis rhapsodizing about genocide.